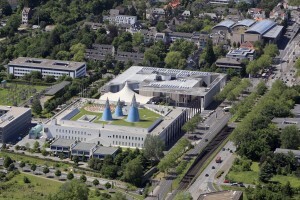 Taking place in the German UN City and seat of important development organizations and the German Federal Ministry of Economic Cooperation and Development (BMZ), the Bonn conference will provide an ideal platform for high-level dialogue and exchange of ideas between development researchers, practitioners and policy-makers. 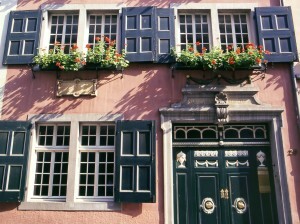 Beethoven House (Museum): Bonn is famous for being the home town of the composer Ludwig van Beethoven. In the year of 1770 Beethoven was born in Bonngasse 20, a small allyway in the centre of Bonn. 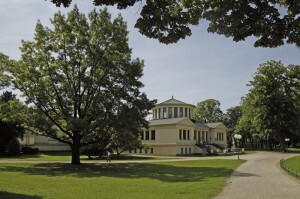 The house still exists and has been rebuilt to a museum which hosts an exhibition about Beethoven and his life. Visiting Bonn for the first time, the Beethoven House certainly is a must-see to learn about the history of the city and his most famous citizen. Haus der Geschichte (Museum): Haus der Geschichte (“House of History”) is a popular museum in Bonn with around one million visitors every year. 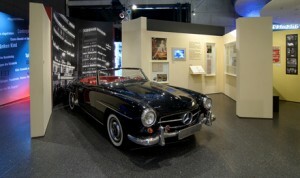 The permanent exhibition presents German history from 1945 until the present. Further, a short-term exhibition displays contemporary societal topics: in June this short-term exhibition evaluates the German eating habits. Südstadt (Architecture/Recreation): The so called “South City” of Bonn is home to many NGO offices and is known for being the largest coherent suburb consisting of pre-WWII-residential buildings (Gründerzeit). It used to be the government district for West Germany. Today, it hosts a great range of cafés, bars and restaurants. The center of the Südstadt can be found at the Niebuhrstraße. Palace of Poppelsdorf (Museum): The Poppelsdorfer Palace is a palace in the style of the Baroque era. 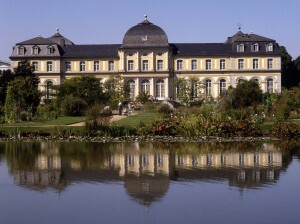 The architect was Robert de Cotte which also designed the famous palace in Brühl nearby Bonn. The Poppelsdorfer Palace is connected to the historical building of Bonn University (“Hofgarten”) by a long avenue. Today, the palace holds lecture rooms of the university as well as a museum presenting exhibitions on mineralogy and petrology. Hofgarten (Recreation): The Hofgarten is a park that is near to the Rhine and the city centre of Bonn. During the summer months, it is ideal for relaxing, playing a match of soccer or enjoying the sun. There are several gastronomical offers which let you sit down and watch the Rhine river water flow by. They can be found in the area of the former Rhein customs where ships had to pay duty for their wares. It is easy to travel around Bonn using public transportation. Next to busses and trains there is also a tram crossing the city from its Northern to its Southern suburbs. Maps with the public transportations available can be downloaded. The closest tram-stations to the Conference Centre are “Max-Löbner-Straße” and “Robert-Schuman-Platz”. In addition to internet in all rooms of the GSI, the city of Bonn has also entered an initiative with the German Telekom. From Januar 2014 onwards, all web-enabled devices can access the web at more than 150 fixed spots around the city. Daily, everyone is allowed to surf for free for 30 minutes. You want to connect your device to the internet? Activate wireless internet on your device and select the hotspot “Telekom” and press connect. Enter a domain you want to enter. Wait for the request to enter your cell number, provide the number and wait for the text message with the entry code. Enter the code and surf for 30 minutes for free. If you want to surf more, you can book a day-pass.